Do you want more love in your life? Becoming a magnet for love is easier than you think; however the process is not what many people expect. When looking for love many people look ‘out there’; with online dating sites, speed dating mixers, and other similar practices. The truth is this – love is an inside job. Love is not ‘out there’ somewhere, but already exists inside of you right now. As a matter of fact, love is your natural state of beingness. 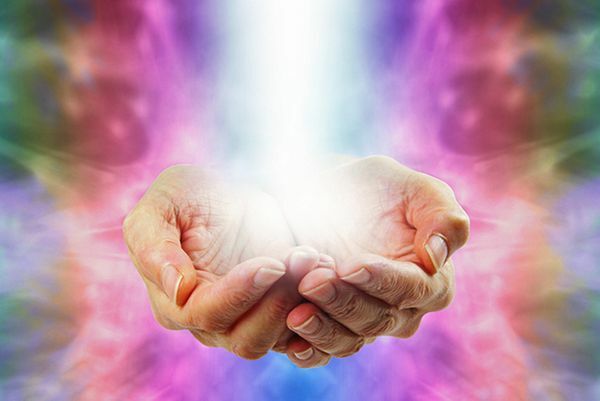 Your Higher Soul wants to resonate from the highest and purest space of love. 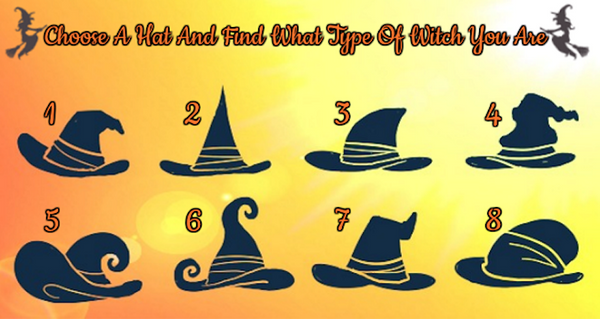 When you can do this, especially with Archangel Chamuel’s help something magical happens. You cannot help but magnetize love in all of its beautiful forms, which includes romantic love! Becoming a magnet for love – how do you do it? The law of attraction teaches that you must be love; and when you are love that is all you can see, and experience in your life. As a professional psychic a majority of my readings revolve around the subject of love and romance. 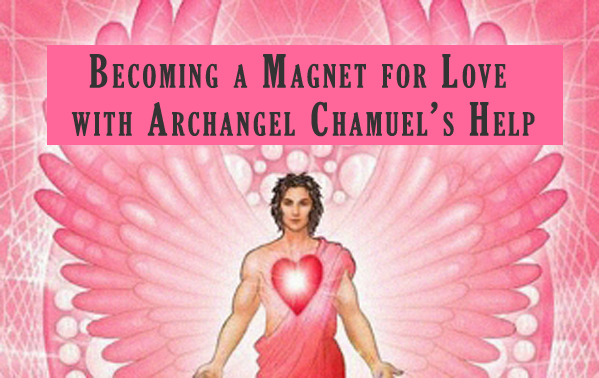 Many times during such readings my angelic helpers have me share with my clients ways to raise their energetic love vibration; and my clients are often surprised that the way to become a magnet for love is to first learn to love yourself. After all, if you can’t truly and deeply love yourself first, how can you love others from the deepest part of your heart? Generally self-criticism arises from the fear that you do not measure up to someone else. So a good rule of thumb is to always remember that what other people think of you is none of your business. Conversely, what you think of yourself is transformative! Forgive yourself. Be willing to let go of the past along with all of its bumps and bruises. Remember, you did the best you could do with the knowledge, and understanding you had at that time. You cannot change the past, but you can allow your past mistakes to become your greatest ally towards change by being willing to learn and grow from your mistakes. Be gentle and kind with yourself in every way. Being gentle and kind with yourself includes kind thoughts, kind actions, and gentle reactions in everyday living; toward yourself as well as towards others. More importantly, being gentle and kind with yourself means learning to be your own best friend. Treat yourself as the Goddess/God that you are. Be good to yourself. Pamper and love your beautiful self whenever you can. You are a one-of-a-kind masterpiece, so appreciate and accentuate your originality on a regular basis. Surround me with your beautiful wings of love and remove any blocks that are preventing me from fully loving myself. I willingly release all self-destructive thoughts and actions that do not promote love towards myself or others, and I choose to instead beautify my heart, my mind, and my soul with loving thoughts towards myself and others. Please help heal my heart from any past misunderstanding and hurts so that I may let go of the past and love more fully in the present. Continually fill my heart with compassionate and loving acceptance of what was and will be, for I desire to be a magnetic beacon of Divine Love. And so it is . . . In closing, remember that you are love! Your origin was from the Pure Source of Love; and you’re connected to this Loving Source at all times. When you learn to think and feel from the deepest space of self-love, you align yourself with Divine Love and you soon began to spontaneously act from this depth-less reservoir as it permeates every nuance of your being. Then everything you think, feel, and do from this deep source of unending love will be reciprocated in the same fashion; which will make you a magnet for love wherever you may find yourself! If you experience any of these signs, then you are an empathetic healer!